I don't know about you all, but I grew up going camping with my family. We even took a month-long road trip out to Wyoming, camping the entire way. So when Miranda of M & T Weddings and Events asked if I wanted to collaborate on a glamping themed styled shoot I was on board. 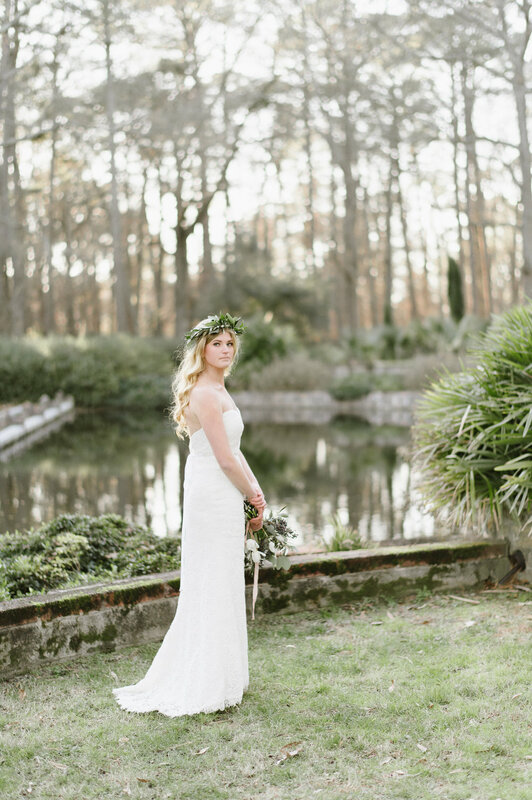 The shoot took place at First Landing State Park in Virginia beach and was the perfect mix of earthy vintage and glam beach. I created a simple and rustic directional sign made out of reclaimed wood. 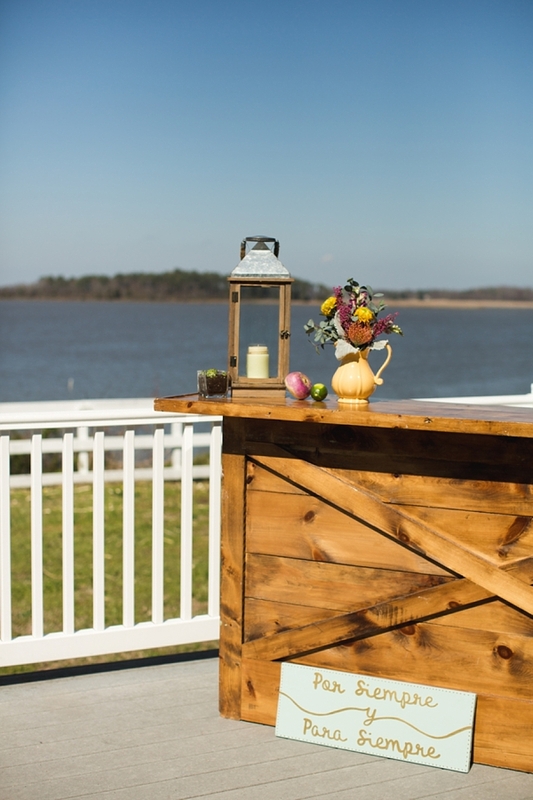 I really love the color wood gets as it ages and this was the perfect setting for it. 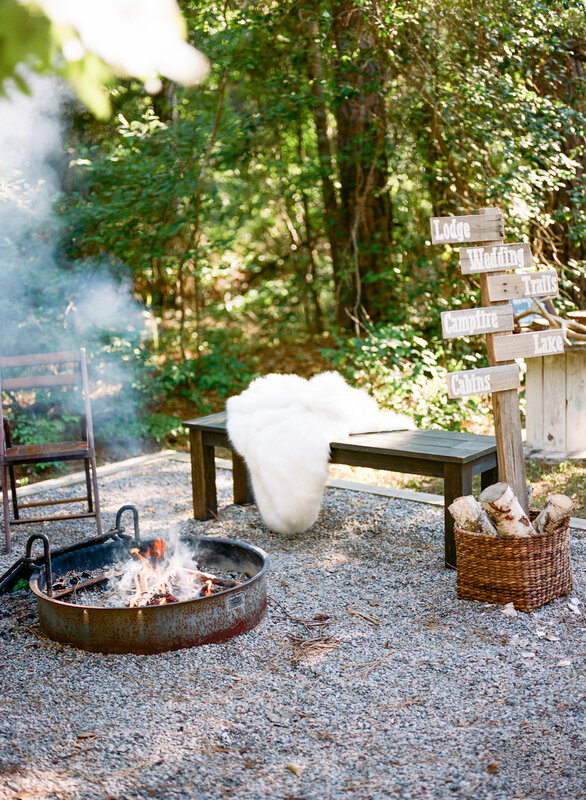 The finishing touch on this adorable shoot? A chalkboard sign for the s'mores bar! Here are a few more of my favorite images from the shoot! One of my sweetest friends, also happens to be an incredible florist and when Courtney Inghram reached out to me to see if I wanted to collaborate on a shoot together, I instantly said yes! I loved the concept, a bride getting ready for her wedding day, and felt inspired by the gorgeous garden location. Two summers ago, I was haunting the local yard sales and hit the jackpot with two adorable pieces...an antique dresser and vanity. Someone had painted them a completely unfortunate shade of purple, so I cleaned them up and gave them new life with a fresh coat of soft white. I knew they would be the perfect additions to this shoot and boy they did NOT disappoint! I also had the cutest antique toolbox that made fun display for a mimosa bar. It was a freezing cold day...only 23 degrees!!! But it's one of my favorite...the appearance of a golden doodle puppy may have had something to do with that. Steve and Nicole got married in July of 2014. A year later, they decided to enlist the help of Holly Coriell of Just Dandy Events to coordinate an anniversary shoot. Their details were so sweet and sentimental. Nicole even wore her mother's wedding dress! I loved getting the opportunity to make some pretty chair signs to hang on the backs of two vintage chairs. I knew I wanted to keep them really simple and natural, so I just gave them a rich walnut stain and cream lettering. I cut holes on either side so they could use ribbon or rope to hang them from the chairs. They were the perfect finishing touch on a beautiful day. Wishing these two many more happy years together! I was lucky enough to get an opportunity to make some pieces for a seriously fun Mexican wedding shoot for Tidewater & Tulle's blog, inspired by Cinco de Mayo. 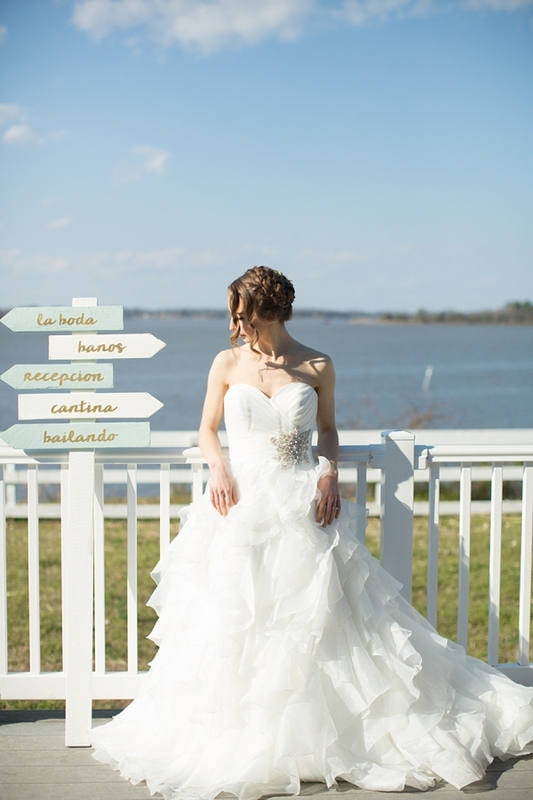 Shot by Andrew and Tianna at the Planter's Club of Suffolk, this shoot was so colorful and coordinated perfectly by Holly Coriell of Just Dandy Events. I had to brush up on my high school Spanish for these projects! Holly wanted something fun to put on the tables so I took some neutral fabric, put it behind small frames I painted in a tropical blue, and hand-lettered "esposo" and "esposa," Spanish for husband and wife. I also created a sweet sign where I hand-lettered "por siempre y para siempre" in gold. My favorite was definitely the festive directional sign! Anyone else ready for Cinco de Mayo? ?